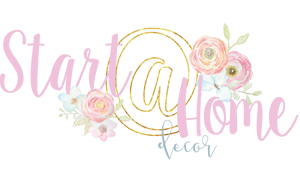 I look forward to this time of year because that means I get to decorate my heart out! I didn’t have a huge budget for this decor, $30 to be exact. So I took a trip to Target and shopped their dollar spot. Most of these pumpkins were purchased there and those cute black witch brooms as well. When I got home and started placing things… it was kind of bare. My budget for the space was out so I had to get creative with my black and white Halloween decor. 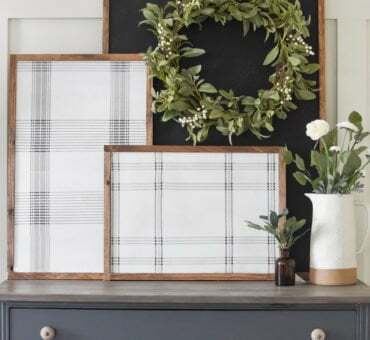 When you don’t have the means to buy new decor, your only option is to utilize what you have on hand. 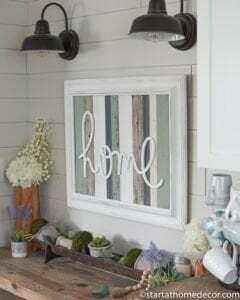 Because I work with craft stuff I do have items like paint that make it easy to give decorations a facelift for no additional cost. 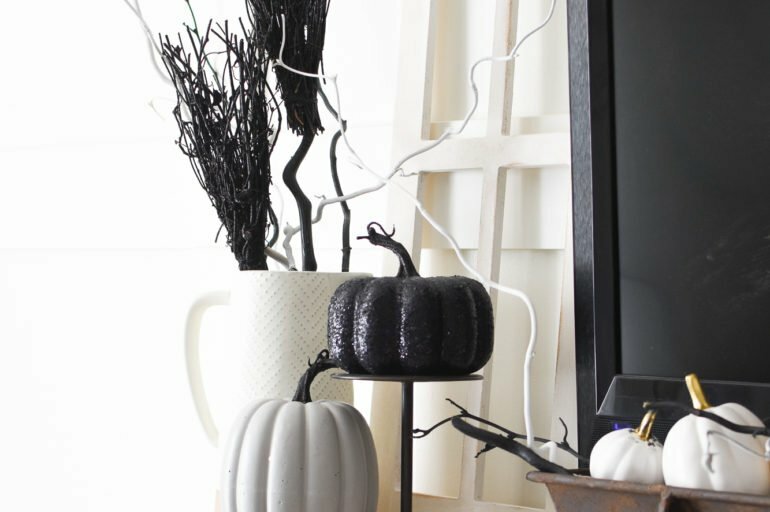 Pumpkins – I used what I had, then I also found a bunch in the dollar section at Target. Another tip for budgeting? Buying cheap pumpkins and then spray painting them a different color is much cheaper than trying to find some in the color you want. Branches – I have this really cool walking stick tree that was in need of a hair cut. So I pruned it up, pulled the leaves off of the branches and spray painted them white and black. 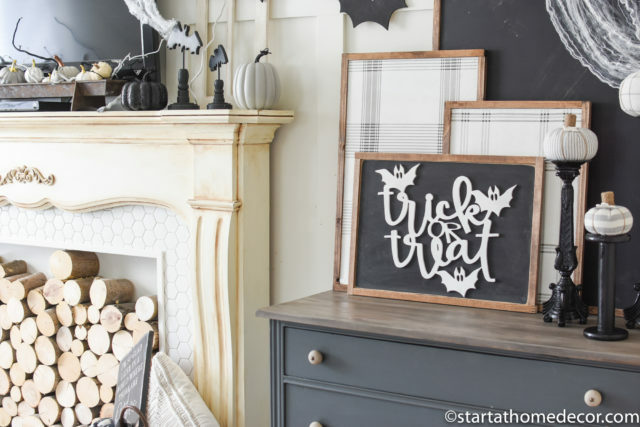 The perfect filler for this space and especially for Halloween themed! But, you could also do this same thing for other holidays. 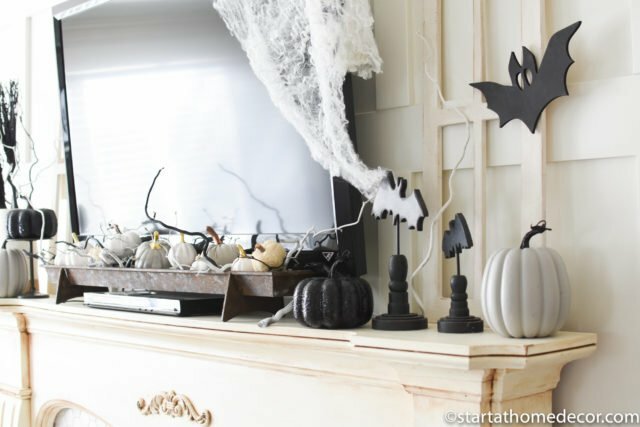 Spider Webs – Who can go without these for Halloween? Luckily, replacements are easy to find and cheap. Witches brooms – These were discovered at Target as well. They are a nice addition on a budget. 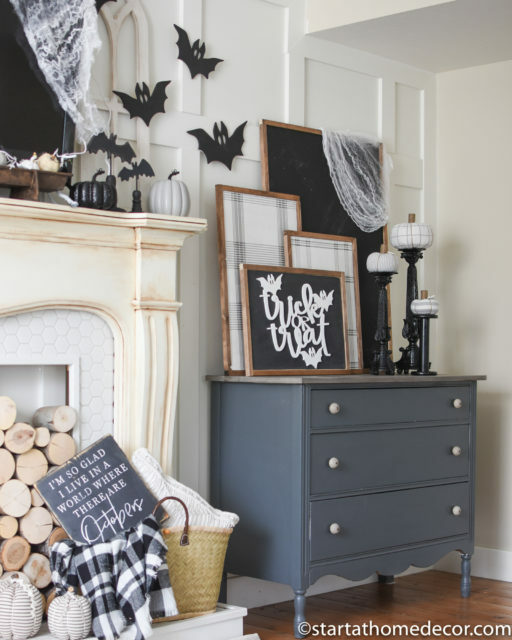 Trick or Treat cutout – I also decided to create another sign since this space was lacking. You can see my trick or treat sign here. 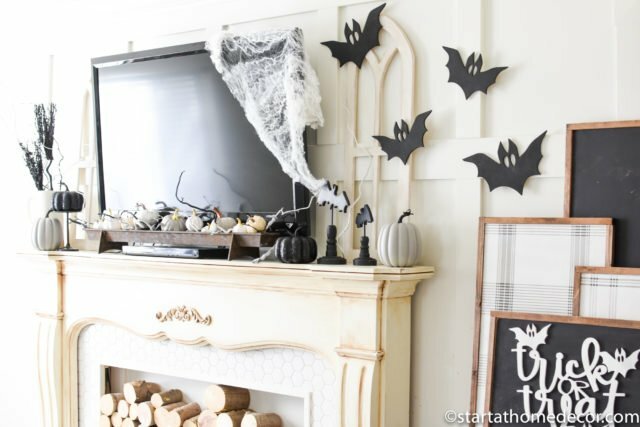 Simple cutouts like bats or spiders are another good option. These are my own here. 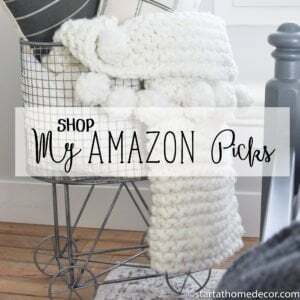 Black and White throw or pillows – I use my black and white throw and put it with my decor. Pillows work too! 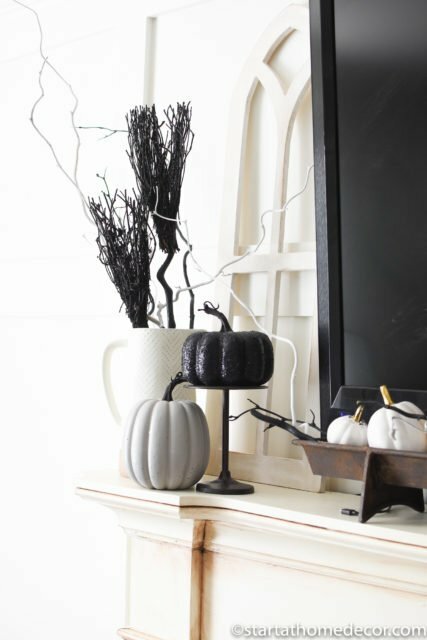 Updated candle holders – I used old candle holders I had on hand and spray painted them black. 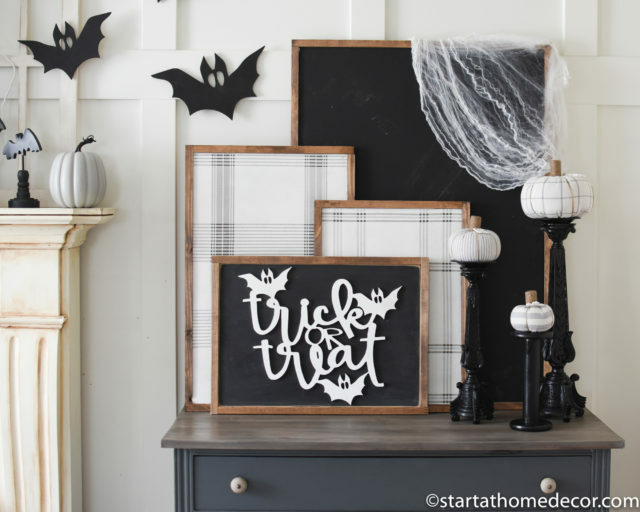 Then, I added these darling pumpkins from the Curl Design Co.
DIY plaid signs with napkins – These were easy to do and created a big space filler! See my tutorial here. Happy black and white Halloween! 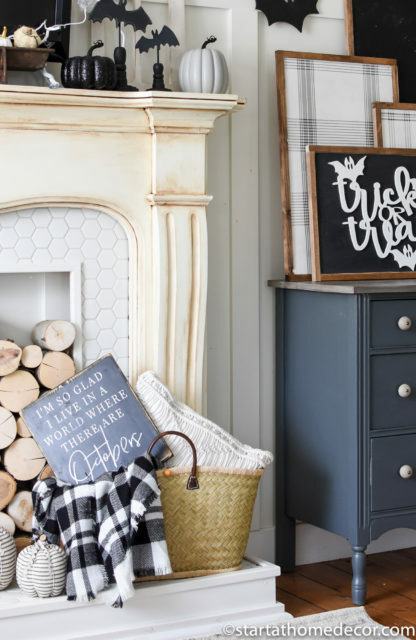 One Room Challenge Bathroom Reveal! My Daughter’s Room and Their Gallery Wall!